Keukenhof Tulip Gardens is the world’s biggest flower garden and contains seven million tulips with a total of 800 varieties. The garden has an area of 32 hectares or 79 acres. It is also known as the Garden of Europe. It is open every year from mid-March to mid-May. In 2019, it will be open from 21 March to 19 May. Countess Jacoba van Beieren (Jacqueline of Bavaria) used to gather fruits and vegetables from the Keukenduin ( kitchen dunes) for the Teylingen Castle. Castle Keukenhof came up here in 1641 and the estate grew to an area of 200 hectares. Landscape architects Jan David Zocher and his son Louis Paul Zocher redesigned the castle gardens in English style in 1857. 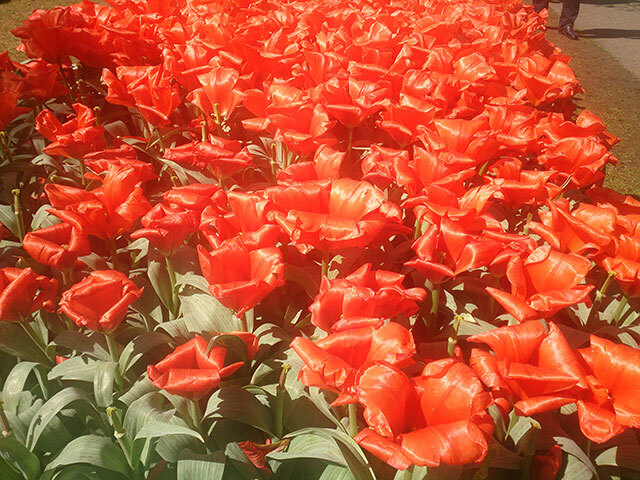 That still makes up the core for Keukenhof Tulip Gardens. In 1949, a group of 20 flower exporters came up with a plan to use the grounds as a spring park. The park opened its gates to the public in 1950. In the first year, 236,000 persons visited the gardens. As of 2017, there were approximately 1.4 million people who paid a visit to the place. 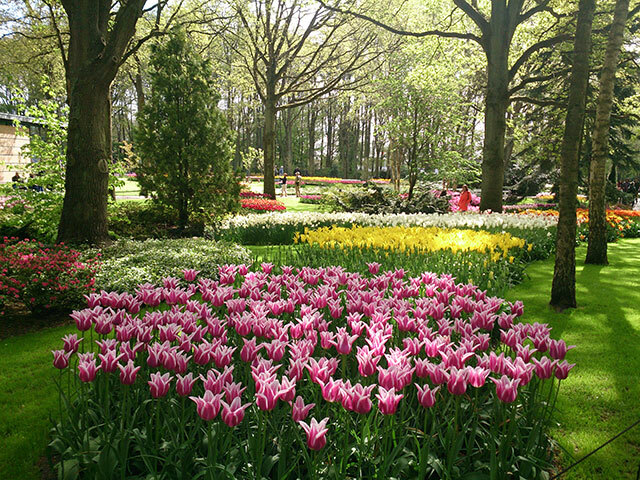 Next year will mark the 70th version of Keukenhof. 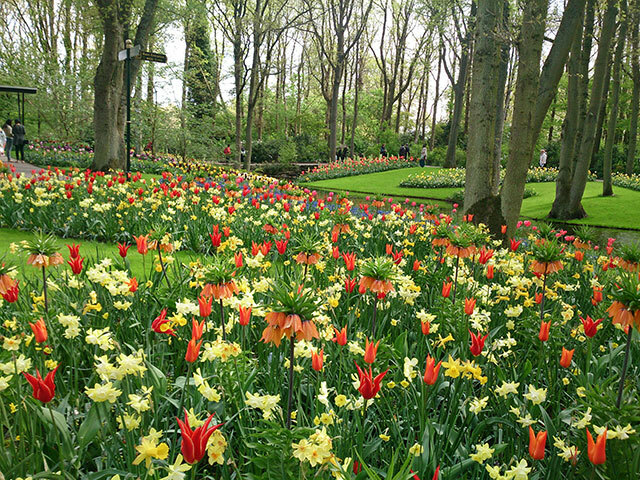 Kukenhof has nearly 100 royal exhibitors who supply their best spring flowers for display. The landscape architect creates a unique design for each of the exhibitors. The exhibitors deliver their bulbs in autumn for planting. Incidentally, Netherlands is a major flower exporter. 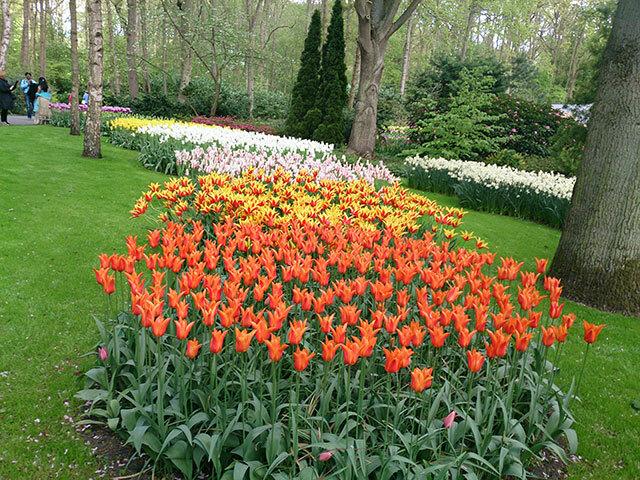 Keukenhof showcases different styles of gardens. The different parts of the park include the English landscape garden and the Japanese country garden. The garden presents different perspectives and vistas and highlights the best of its ancient trees. 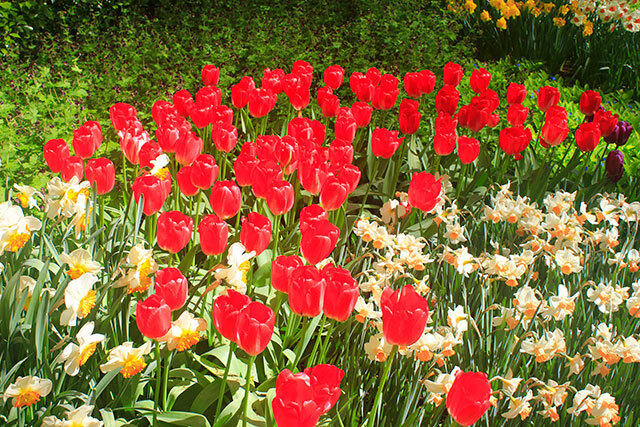 In the natural garden, shrubs and perennials are combined with beautiful tulips. 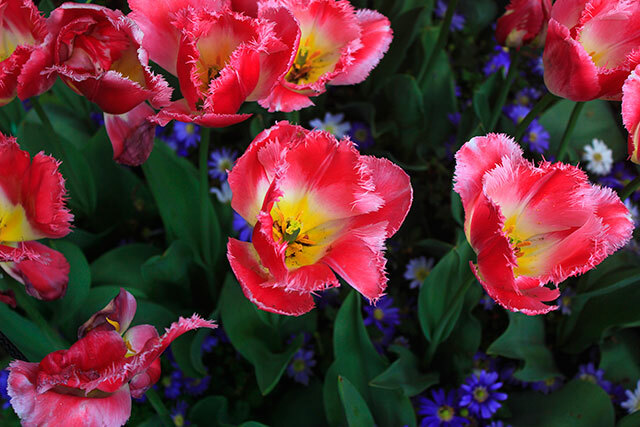 The historic garden is home to old varieties of tulips and reveals the tulip’s long journey before it reached the Netherlands. Appealing pavilions with brilliant floral arrangements and wonderful sculptures add to the charm of the park. Very good snack bars with reasonably priced food and drink are all around the park. 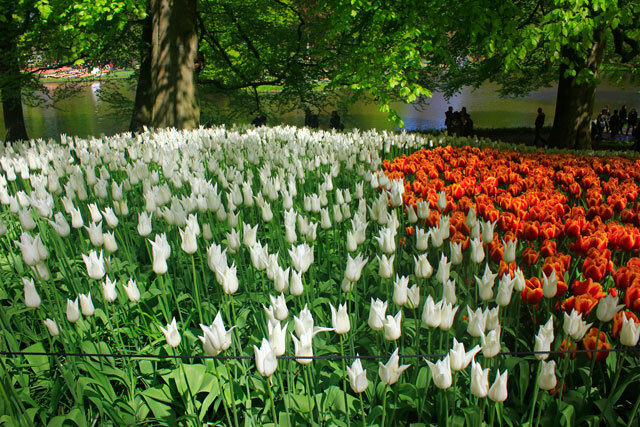 Keukenhof is between Amsterdam and The Hague. You can comfortably reach there via motorways A4 (exit Nieuw-Vennep) and A44 (exit 3, Lisse). Ample parking is available. 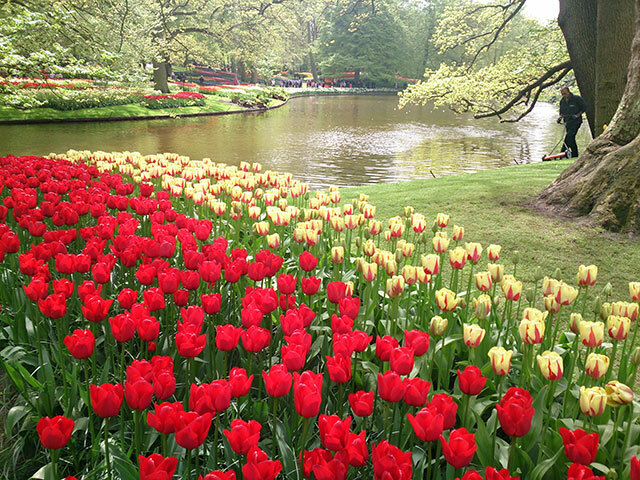 Buses run to Keukenhof Tulip Gardens from Schiphol airport. I hope you have liked my post. If you have questions, please use the Contact Form to get in touch with me. Post your comments in the box below.